Brushing and flossing your teeth are essential to your oral health. They help prevent the build up of bacteria, plaque, and food particles, which can spare your teeth and gums from disease and discomfort. However, brushing and flossing isn’t always enough, especially when it comes to the nooks and crannies of your back molars. Fortunately, there are steps you can take to protect those vulnerable areas, like investing in dental sealants. Dental sealant is a thin, protective coating that “seals” your teeth. The sealant is typically made of a safe plastic or other dental material, and it can keep bacteria or leftover food from hiding in the rough, uneven surfaces of your teeth. Teeth sealants are ideal for school-aged kids, although they can offer great benefits for adults as well. In a 2016 report by the Center for Disease Control, kids without dental sealants had almost three times as many cavities as those with sealants, which is why we recommend that the earlier you invest in dental sealants, the better. 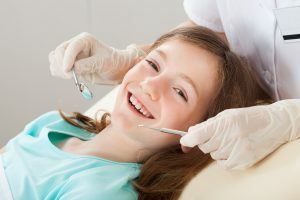 Molars are typically the first target for dental sealants, since they have more nooks and crannies than our other teeth, and are therefore more at risk for cavities and tooth decay. 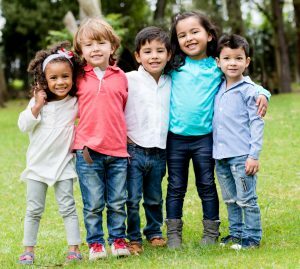 A child’s first set of molars typically begin to appear at age 6, and the second set at age 12. If you seal those at-risk teeth at the very start, you can save money and enjoy better oral health in the long term. Receiving dental sealants is a fast and painless procedure, and most dental clinics follow the same steps. First, they will clean and dry the tooth that will be sealed. Then, they place an acidic gel on your tooth to roughen up the surface and offer the sealant a better grip. Then, your dentist will rinse and dry your tooth and apply the sealant to the grooves of your tooth that are vulnerable to bacteria and tooth decay. They may use a special light to cure, or harden, the sealant. After that, you’re all done! Brushing and flossing your teeth should always be part of your oral health care routine, but why not get all the protection you can get? Dental sealants can act like a shield against tooth decay, keeping food particles and bacteria from settling into the uneven surfaces of your teeth and preventing cavities from forming. Studies show that dental sealants reduce the risk of decay by almost 80 percent in molars, and they can even stop early stages of tooth decay from degenerating into a full cavity. Whether you have young kids who could use a little help keeping their teeth healthy and clean, or you’re an adult looking for added protection against tooth decay, the Dental Centre can help. We have offices in Uxbridge, Stouffville, Sunderland, and Port Perry, Ontario, and we are dedicated to helping everyone achieve better oral health. Call to learn more about dental sealants and make your appointment today!